After months of attempting to get to a Les Mill’s GRIT class I was very excited to be invited to one at a Nuffield gym in the city last month. I admit it – I nearly didn’t make it, it was a glorious day and walking to the gym past lots of suited men outside pubs was enough to put anyone off – BUT being a 30 minute class, I convinced myself I could have my cake and eat it – well do the class, then give myself a pat on the back my enjoying a glass of wine straight after. If you’ve never heard of Les Mills GRIT classes they’re 30-minute intense classes that are designed to get us hot under the collar, pushing our bodies to the max. There are three different classes in the Series; LES MILLS GRIT CARDIO, LES MILLS GRIT STRENGTH and LES MILLS GRIT PLYO, each of which have been designed to deliver the specific benefits people want, whether it’s burning fat, toning torsos or building muscle. And if I wasn’t already scared about the prospect of a 30 minute intense cardio workout – then our trainer Rob made sure he put the fear in us just seconds before the class when he said: ‘The toilet is just there if you need to puke during, or after the class!’ – oh my what was I letting myself in for? The class started off with a warm up of sprints, lunges, squats and my favourite (not!) burpees. Then it was on to what seemed like forevers worth of 3 minutes stints doing various exercises – including the painful tuck jumps, proper (i.e non girlie) press ups and the plank of death! By this point I looked at the clock and hoped/prayed that it was nearly over – but of course it wasn’t – I was a mere half way through. I was sweating, panting and aching – put weirdly quite enjoying it too! The second half of it Rob put us into teams – one half were to do shuttle runs while the others had to do various exercises like the wall climber, planks or yep you guessed it my fav burpees. 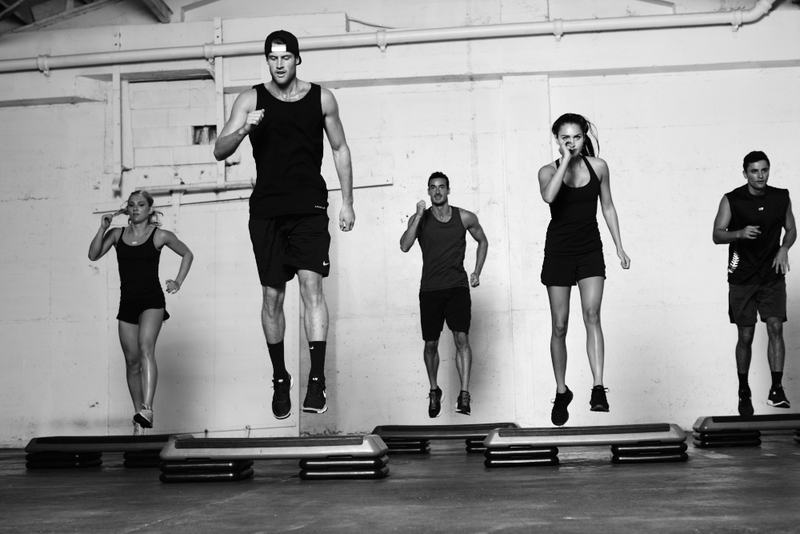 When Rob shouted out ‘Switch’ we’d have to use all our strength to start running, or worse – start doing burpees. I have to admit it points I felt like giving up – my body was telling me ‘enough already!’ but my competitive streak was keeping me going! And by the end, although I was exhausted and happy that the half hour of hell was over, I’m glad I did it, beats doing a boring hour at the gym where you’re not really pushing yourself! 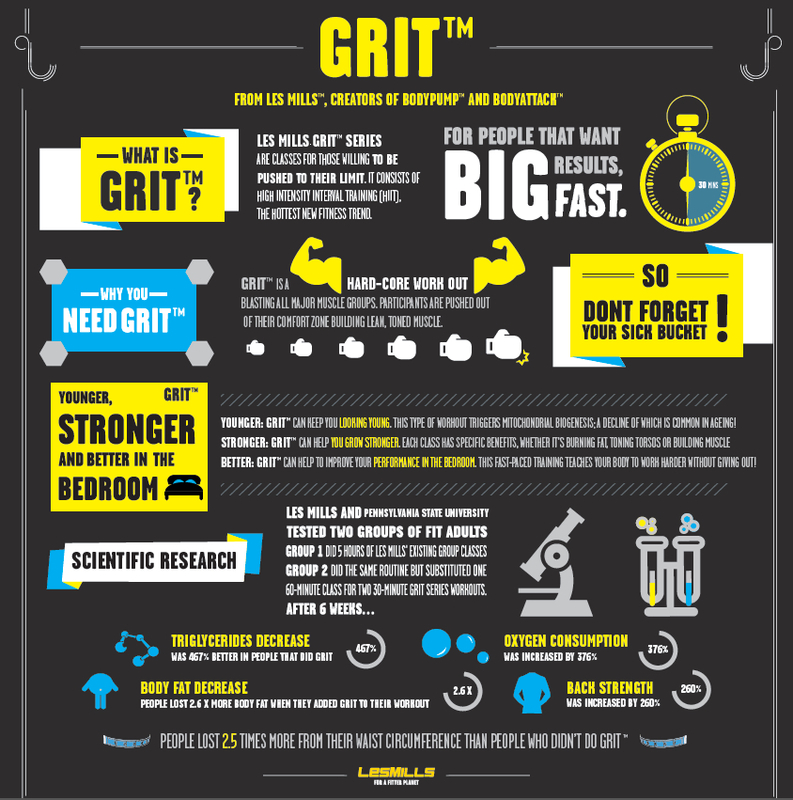 I’ll probably regret saying this – but Les Mills Grit is pretty awesome. Plus knowing I burnt around 600 calories in half an hour is a bonus. Fancy a session? Les Mills GRIT classes are available in various gyms across the country – check out where your nearest one is here. Previous Post Half marathon: 2 weeks to go….